Wondering how to find buprenorphine (Suboxone) in California? Here's everything you need to know about the laws, the type of doctors that are able to prescribe it, and how much you'll pay. What exactly is buprenorphine (commonly known by popular brand name, Suboxone)? Suboxone is the popular brand name for the drug buprenorphine, combined with naloxone. There are other brand names of this as well: Zubsolv and Bunavail are just two. Your doctor will decide which medication is right for you. Ready to start treatment? Workit Health offers Suboxone treatment in the Bay Area, CA. So how can I get some Suboxone? If you're like me, you probably learned about Suboxone from a drug dealer, rather than a medical professional. I knew my withdrawal from opiates were too bad to quit on my own, and that I wouldn't be able to quit without help. I asked my dealer, rather than my doctor, if there was anything that could help me quit. Although Suboxone is sold on the street, it's pricey and difficult to know exactly what you're getting. Also, if you're trying to get clean, keeping up with the same people you used with will tempt you towards past bad habits. This is why getting medications like buprenorphine (Suboxone) or methadone (another popular drug to help you get off pain pills or heroin) from a doctor, rather than off the street, is a good idea. Why can't my regular doctor prescribe buprenorphine (Suboxone)? This is a great question! Suboxone is currently regulated by the DEA, and physicians must have a DATA waiver to prescribe it. This makes it much more difficult to get than heroin for many current opiate users, but that doesn't mean it isn't worth the effort in the long run. Advocates fighting to end the opioid crisis, like the team at Workit Clinic, are working to make Suboxone more available. Many doctors are "getting waivered" as they become educated about the benefits of treating patients with buprenorphine (Suboxone). Okay, so why don't more rehabs prescribe buprenorphine (Suboxone), then? Do I have to go to rehab to get it? Although historically the solution for heroin or pain pill addiction has been to go to detox and do a spin dry for a week or 30 days, the evidence is showing that office-based treatment with buprenorphine (Suboxone) is more affordable and just as effective. Why is there a counseling requirement with my buprenorphine (Suboxone) treatment? Under federal law, medication-assisted treatment patients must receive some form of therapy. 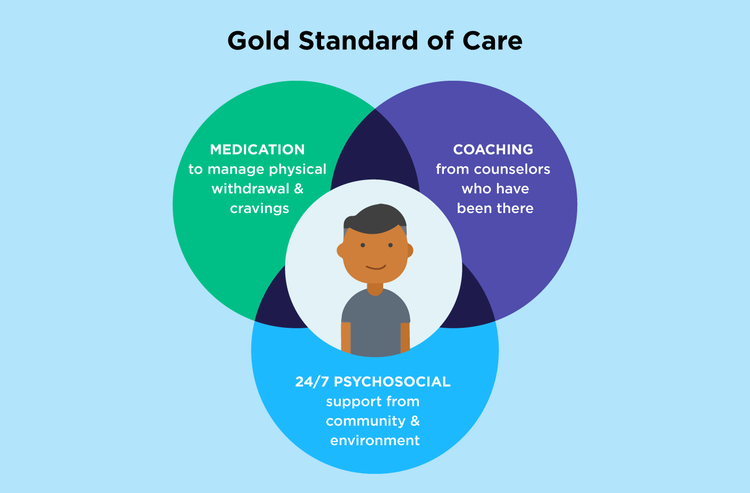 Medication-assisted treatment is defined by SAMSHA as "Medication-Assisted Treatment (MAT) is the use of medications, in combination with counseling and behavioral therapies, to provide a 'whole-patient' approach to the treatment of substance use disorders." Read: Why Are There Suboxone Therapy Requirements? Will my insurance cover buprenorphine (Suboxone), or another similar prescription, at the pharmacy? Private insurance often covers buprenorphine/naloxone - if not Suboxone specifically, then another brand name. Your care team can work with you to decide what medication will work best for you with your insurance. The good news is that in California, Med-Cal no longer requires an authorization for buprenorphine products. This means that they're easier to get covered under Med-Cal. If you don't have insurance, our team at Workit Clinic offers a sliding scale to work with you based on your income, allowing you to pay out of pocket for your care. Give us a call, as we're happy to discuss pricing and financing options with you: 855-659-7734. We also have grant funding available in certain counties. We recommend calling around and pricing out programs that are near you - some doctors in California (not us!) charge $300-$400 for an intake visit alone. Also be sure to ask if there are additional fees for counseling or group therapy. There are also programs and coupons that help you save on Suboxone at the pharmacy. Have other questions about Suboxone in California? Ask them in the comments. Ready to start Suboxone treatment? Workit Clinic provides telehealth treatment in California. See our care team once in person in the Bay Area, then begin online treatment.